Apply for your free 30-minute strategy session with me and whether we decide to work together or not, you will leave with lots of great ideas for marketing your business. WELL, IT’S AS EASY AS 1,2,3. Tell me a little bit about yourself and mark off your preferred slot in my calendar. Complete the short questionnaire so I can learn more about you and your business. We tackle the big rocks that you are struggling with in your marketing. A few ways I can help. As an experienced funnel architect and Drip certified consultant with a flair for good copy I love designing strategies that power exciting online businesses. My perfect day includes walking the dog in the rain, brewing an excellent cup of coffee, and helping other people make money doing what they love. I’d love to share some insights with you so you can learn how to market yourself and your business better. If you aren’t building relationships with prospects and clients using email marketing automation you are missing a trick. I can help you quickly get ahead of the curve with email and automation. The right traffic and lead generation strategy is critical. From content marketing and social media to Pay Per Click (Facebook and Google Adwords). I can create a blueprint to make this all work on autopilot for you. 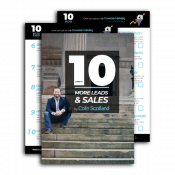 I can help you to design and create sales and marketing funnels that turn cold prospects into flaming hot leads, eager to find out more about what you have to offer. Help more people doing what you do best. Every business needs leads and your website plus high-converting landing pages are a vital step. I can help you to make your pages not only look amazing, but ensure they are optimised for higher conversions. Get ready for the best 30 minutes of marketing ever! We meet virtually in my online meeting room using zoom. For 30 minutes I will show you exactly how you can use marketing to increase your impact on the world in a real and meaningful way.